You might not know what uLEZ stands for - but you will. This policy has been planned for years - I know I've covered it many times - but only now are many realising it could affect them. It is part of a 'polluter pays' ethos - the broad theory that older more polluting vehicles will have to pay to enter the congestion charging zone. If you're not compliant you will get a fine of £160, though a first offence may only result in a warning letter. 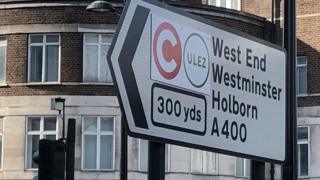 The uLEZ was actually started under the previous mayor Boris Johnson - the current incumbent , Sadiq Khan, has expanded it and brought the date forward. Transport for London's initial estimates show that 40,000 cars a day will affected along with 19,000 vans, 2,000 HGVs and 700 coaches. There has been opposition from businesses who think London isn't ready. They want a grace period on the fines. But London's poor air quality shortens the lives of thousands of people every year. The Mayor has called it a public health emergency.